This abstract green business card template is the perfect template for anyone looking for an original business card design with green theme. It's free to download. Free green abstract curves business card template gives an environmentally friendly tone to your business card. It's simple, fresh and energetic, which is suitable for many businesses. 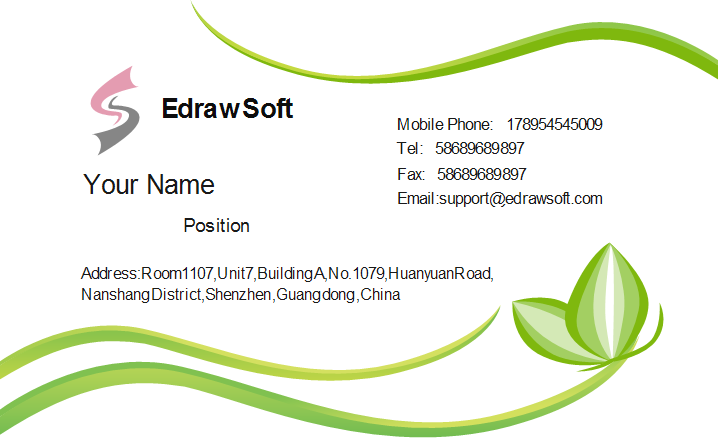 You are allowed to download this template for free, and through Edraw you can easily replace the information and even re-layout the card. Try it today. 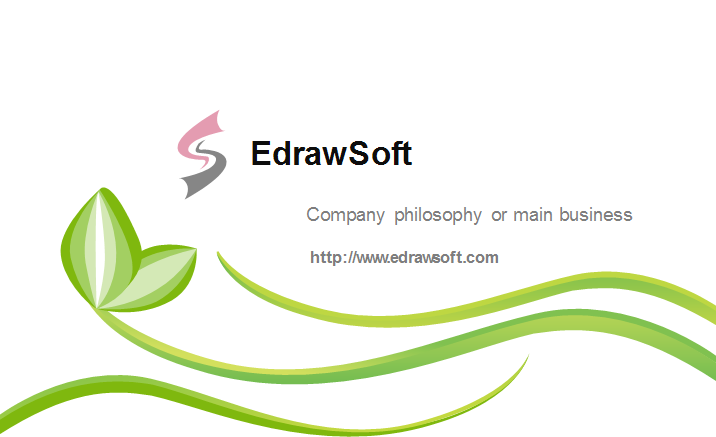 Discover why Edraw is an excellent program to create business card. Try Card Maker FREE.